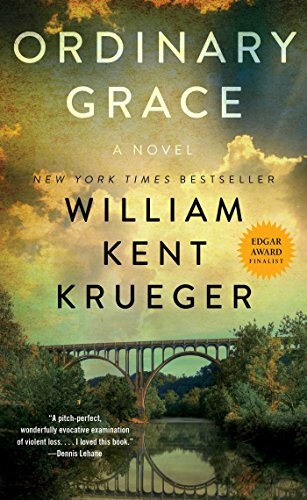 William Kent Krueger is an American author best known for his Cork O’Connor mystery series, set in Minnesota. Here is the list of the Cork O’Connor books in order of publication. Currently, the reading order is the same as the publishing order, and there are no short novellas included in the series. It is interesting to mention that from book #4 onward, the author has often written one book in the series per year, much to the delight of his fans. William Kent Krueger (website) was born in 1950 in Torrington, Wyoming. He always wanted to become a writer. While in third grade, William wrote a short story titled The Walking Dictionary, which his teachers warmly praised. He knew then that he has found his career niche. He was also influenced by the fact that his father taught high school English and his mother was a musician and actress. His parents were always supportive of his love for books, and he was basically raised in a literary family. In his early years, he moved with his family quite a lot around the United States. When he graduated from high school, William has already lived in six different states. He enrolled at the Stanford University wanting to become a cultural anthropologist, however during the 1970 student protest, in which he got involved in, he had to leave the university after a year of being a student due to issues with the administration, as he participated in protests against the Vietnam War, especially the students’ march against the presence of ROTC on their campus. As Krueger was on a scholarship in college, he lost it after the riot and he could no longer continue studying. Next, he started working the odd jobs, such as lumbering timber, digging canals, laying pipeline, and working in construction. At the same time, he continued writing, becoming a freelance journalist, and writing short stories and sketches. His wife was earning a law degree, so to support her in her studies, he worked as an administrator of a university research laboratory. 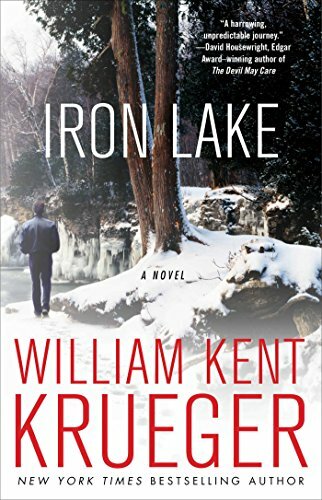 Around this time when he was 40, author William Kent Krueger finished the manuscript for his debut novel, Iron Lake, which would become the first in the Cork O’Connor crime mystery series. He started writing the book in 1992, he finished it in 1996, and the book was published in 1998. Back then, he was still working full time. Soon it won several prestigious awards, including the Anthony Award for Best First Novel, the Barry Award for Best First Novel, the Minnesota Book Award, as well as the Loft-McKnight Fiction Award. The series is set in Minnesota, often involving the local Native American reservations. Even the series’ main character, Cork O’Connor is part Ojibwe (and also part Irish). Krueger was always fascinated by the Ojibwe culture, read several books on it, and met and talked with many Ojibwe people. When he first started writing books, William Kent Krueger would write in coffee shops for a distraction-free environment (free of telephone calls, for example). Initially, Iron Lake was supposed to be a standalone novel, however, eventually, it became a series which now includes 17 books, with the latest one, Desolation Mountain, published in 2018. Cork O’Connor is a complex character who is trying to find his spiritual path. Coming from two very different cultures, he is searching for his place in the world. Initially, he turned his back on God, feeling that he got no love from God either. Especially, after his wife dies, Cork is not sure how to move forward and how to heal.While this information is common knowledge, and it happens rather early in the series, later on, things will be looking up for him, but I won’t say more to avoid spoiling it for newer readers. Cork is a resilient person who always bounces back from his problems (this is why the author actually gave the main character this name, way before he knew that he would have a whole series on his hands). The William Kent Krueger books focusing on Native American culture mixed with crime mystery are often likened to those of authors like Nevada Barr, Thomas Perry, and of course, Tony Hillerman. 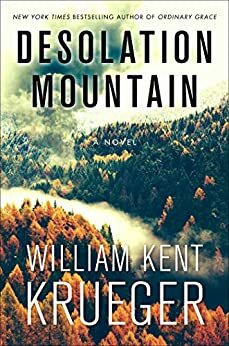 Besides the Cork O’Connor series, there are three additional William Kent Krueger books as standalone novels. A new William Kent Krueger book, This Tender Land, will be published in 2018. Both so-far published books are crime mysteries as well. Ordinary Grace, standalone book #2, is a coming-of-age story in a small town involved in murder. The book has won so far numerous awards, including the Anthony Award for Best Novel, Barry Award for Best Novel, Dilys Award, Edgar Award for Best Novel, Midwest Booksellers Choice Award for Best Fiction, Left Coast Crime “Squid” Award for Best Mystery Set Within the US, Macavity Award for Best Novel, and several others. The author is currently living in St. Paul in Minnesota where he is working on his next book. If you love enjoyed mystery series set in placed strongly influenced by Native American culture, then reading the William Kent Krueger books in order for his popular Cork O’Connor series is a worthwhile journey to take.